MaKinna Bruns was chosen by the Tri-Cities area Allied Arts Association to receive their "Silver Award". The Allied Arts Association award is open to all graduating seniors from the ESD 123 schools who submit a portfolio of their art work. 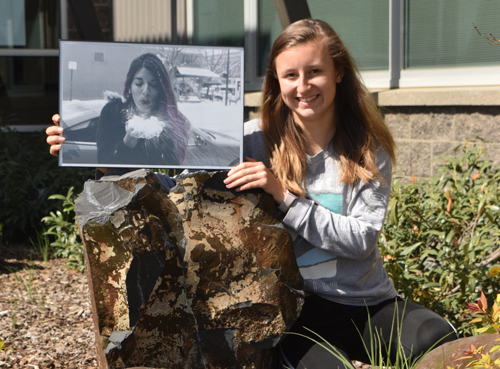 MaKinna's photography pieces will be on display at Richland's Gallery at the Park until May 25.